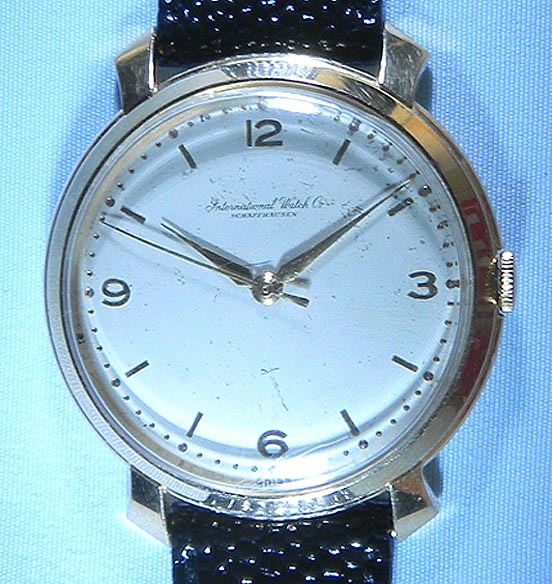 Good oversize IWC 18K sweep center seconds vintage wrist watch circa 1960. 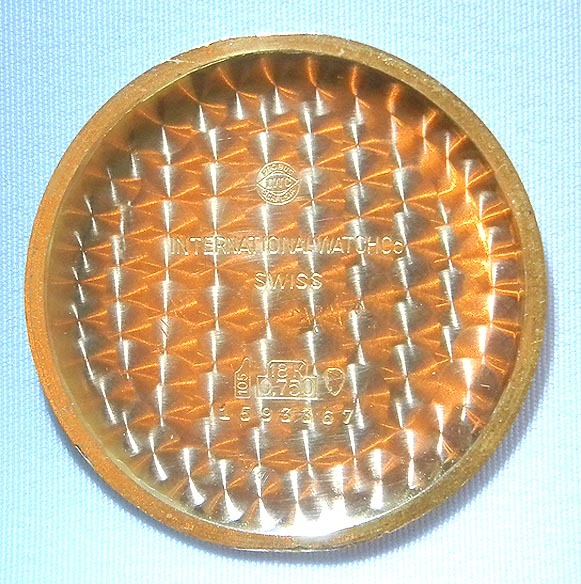 Original silver dial (slight signs of age) with gold markers and gold hands. 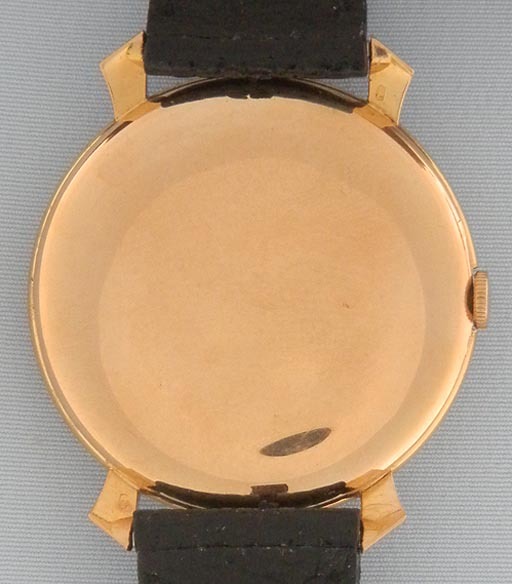 The case with wide tapered downward sloping lugs. 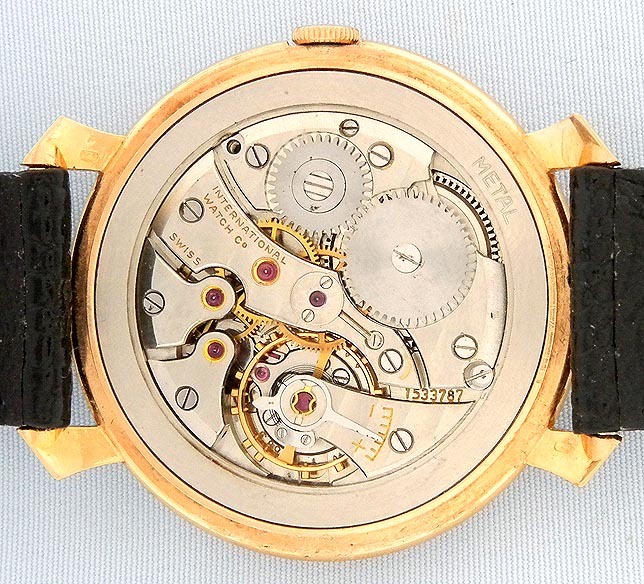 Nickel 16 jewel shockproof movement.